After an amazing, but I must say, exhausting year, I really wasn’t pushed on travelling anywhere in November! However, there was no way in hell I wasn’t completing my travel challenge, so I took Galway as an opportunity to completely wind down and relax. For that reason, I covered very little on my social media channels. 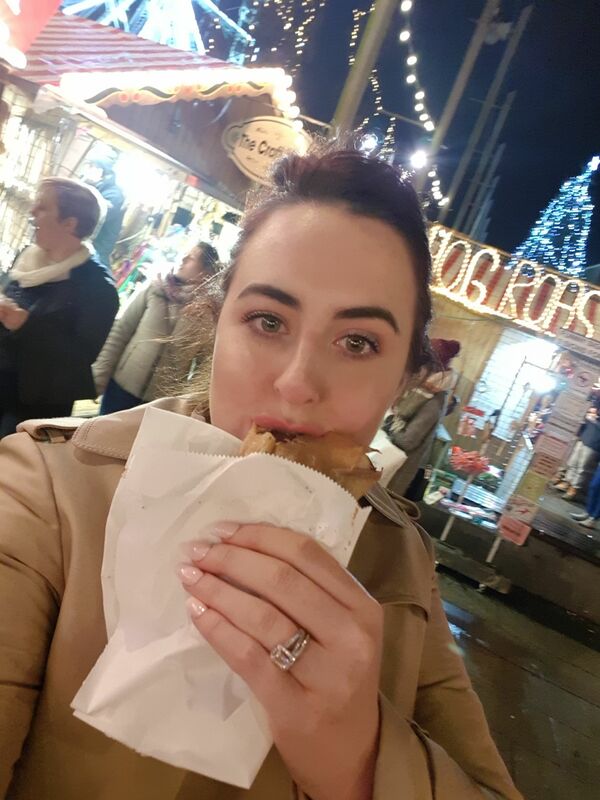 We chose Galway because I heard the Christmas markets were great, and considering it’s only down the road, it was very handy! 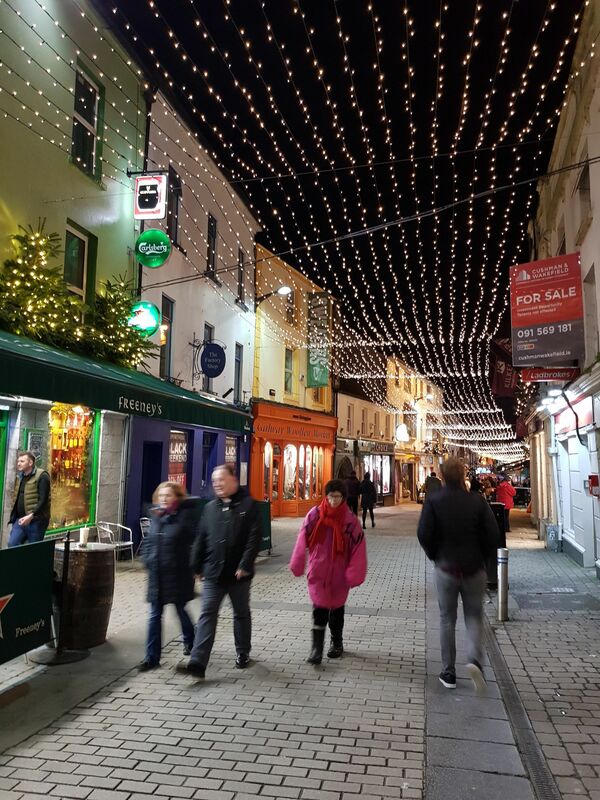 You can read about the Christmas Markets in this post, as well as, how to get there, where to stay, and things to do in Galway. 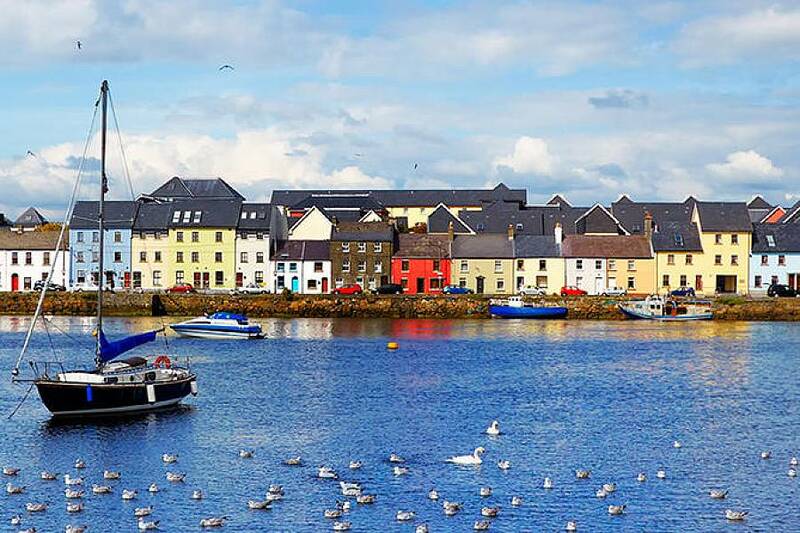 Getting to Galway is one of the best things about going there; it’s literally only an hour and a half drive from Dublin. It’s gas that you can literally drive from one side of Ireland to the other in an hour and a half; I love our little country! So we drove, but you can also get the bus or train. Citylink offer a bus service from Dublin City Centre or Dublin Airport. The tickets are from €11.50 each way and run throughout the whole day. The train is another option with prices from €35 return with Irish Rail. I’ve stayed in Galway a couple of times. I Irish danced when I was younger, and we travelled down for the All Ireland Championships. Also, I went down a couple of times with my part time job while I was in college (more on this below). In saying that, I can’t remember any of the places I stayed in which is no use to any of you I’m afraid! Although, if I can’t remember them, they mustn’t have been great. We stayed at the Venetian in Vegas 8 years ago and I still remember every detail, even the feel of the bed clothes (100% Egyptian cotton!). Speaking of Vegas, we’re heading back this year! Read more about that on my Facebook page. When we travelled to Galway this time, we stayed in a B&B, which we rarely do but we had stayed in so many hotels and a change is always nice. The change wasn’t the reason we opted for a B&B though. The hotels in Galway are really quite expensive, especially when you leave it until the last minute to book! There are so many B&Bs in Galway, but we chose to stay at The Pembroke House B&B. It was so warm and cosy and had a real homely feel to it. The only thing was that there was no breakfast included which I thought was odd. It was an extra €10 per person for breakfast so we chose to go into the city to eat instead. The B&B was about a 5 minute journey in the car to Galway City Centre. If you were looking to stay here, you would need a car, unless you don’t mind walking or getting a taxi. Travel Tip: My recommendation is to stay in a B&B and not a hotel; they are a lot better value for money. If you fancy a hotel though, the G Hotel is supposed to be fab. 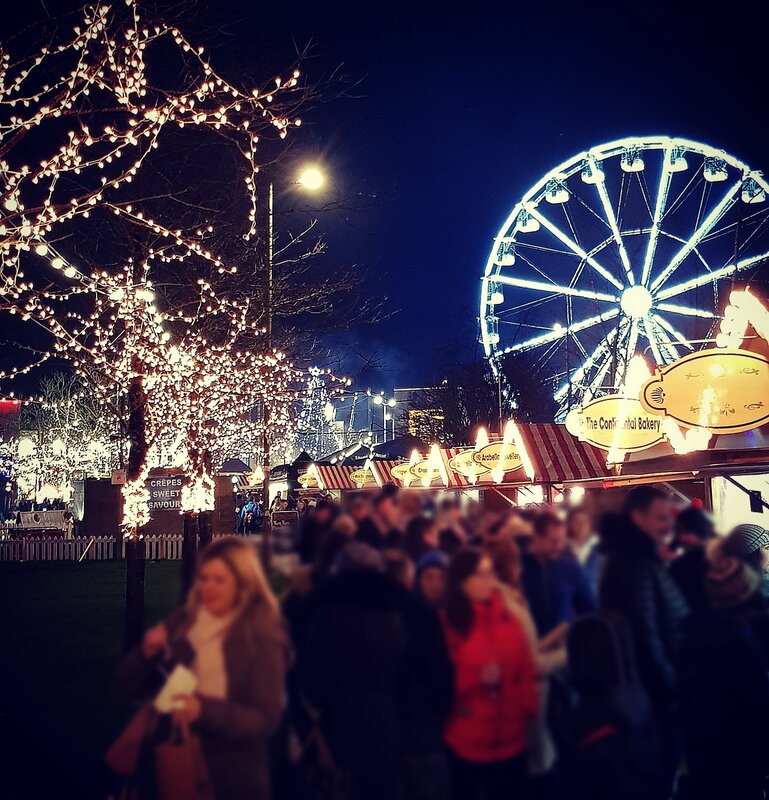 If you’re a fan of Christmas markets, the Galway Christmas Markets are worth driving down for. 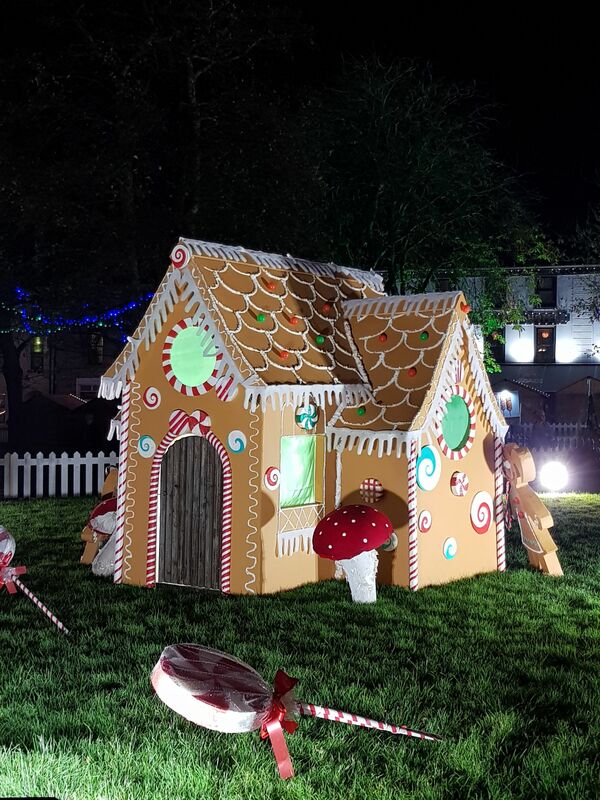 They’re up and running from November and are just as beautiful as most of the Christmas Markets in Europe. 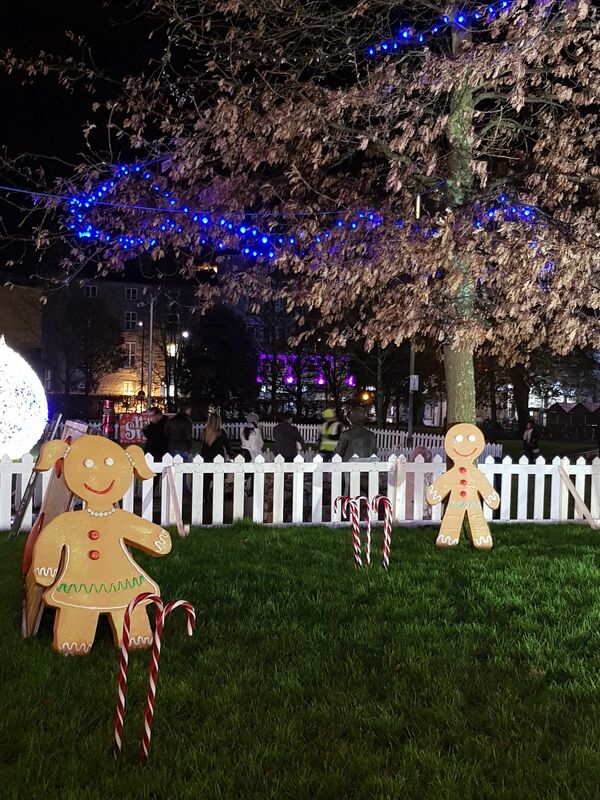 What makes these different though is that they are set up around Eyre Square so the setting is stunning, and the decorations are fab. The Waterfront in Galway has to be one of the most photographed places in Ireland; it even features in Ed Sheeran’s video for Galway Girl. It is so beautiful and a walk along the promenade with a hot drink, and your favourite person/people, would make for the most perfect morning. While I was in college, I worked part time in a bookies and I got sent down to work a couple of times at the Galway Races (it was so cool!). People genuinely save up all year for the Galway Racing Festival, it is manic, but the atmosphere is like nothing else I’ve ever experienced. Even if you’re not into gambling, you should go down for the craic! After the races, in the evenings, everyone goes to Quay Street (the main street in Galway City). The pubs are all full to capacity so they serve drink out of little hatches on the sides and it’s just like one big street party; it’s brilliant. If you’re looking for somewhere a bit different, Coyotes is really cool. It’s like the bar in Coyote Ugly (I love that film!). Travel Tip: Book your accommodation as far in advance as possible to avoid disappointment. There are lots of shops! Some mainstream, high street fashion shops, others are independent shops selling Irish handmade goods and souvenirs. Galway is also home to one of Ireland’s 4 Brown Thomas stores, if you’re partial to a bit of designer gear! If I was to live anywhere else in Ireland besides Dublin, I think it would be Galway! Although I loved Donegal too, you can read why here. What is your favourite county in Ireland? Tell me in the comments below!